The Geekset Crew drops off a Greatest hits of 2018 for your listening pleasures. Stroll down Memory lane and relieve the White Privelage Snap, Diddy amazing Godzilla with his dance moves, Bacardi's Red Dead Redemption crime spree, Didge's beef with Peta, Deuces thinks he's invincible against zombies, Steve Cardenas interview and more. 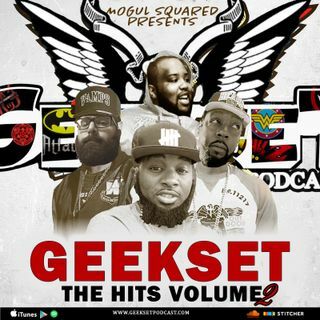 We appreciate everyone who has been apart of the Geekset Community and we look forward to providing more content, entertainment, merch and ... See More material in 2019.